001-FRONT POCKET  - $50.90 : Don Hume Leathergoods, Simply the Best! 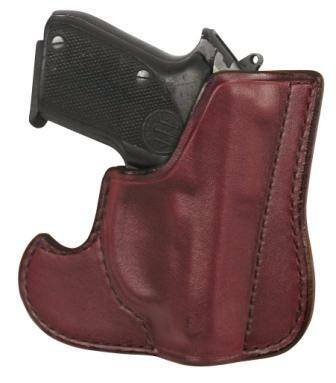 The 001 Front Pocket holster can be carried in the front pocket or a jacket pocket. The design of this holster conceals the shape of the firearm and keeps it in the ready position. When used in proper sized pockets the hooked shape will catch on the pocket s you can draw the firearm out of the holster while it remains in the pocket or falls away. *Can be used Right or Left Handed.